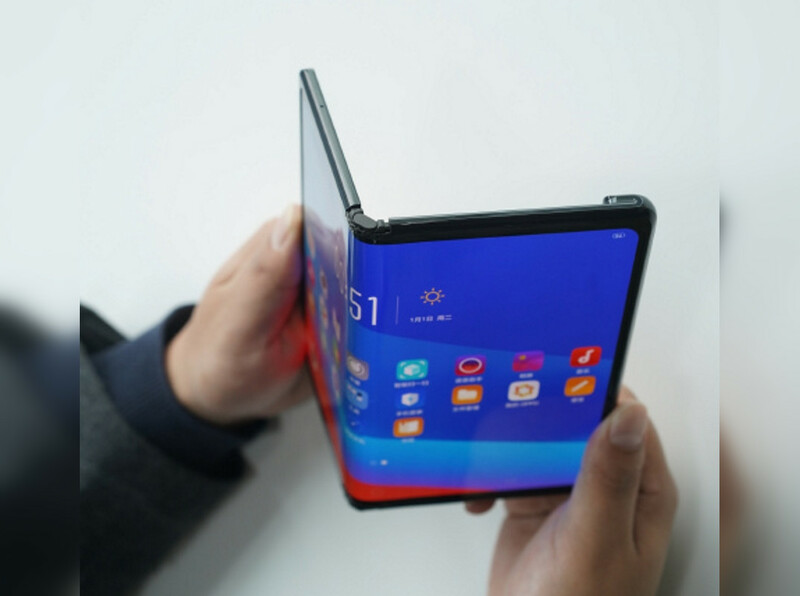 Folding phones have been one of the talking points of MWC 2019, as OEMs raced against each other to show off the first generation of this nascent technology. 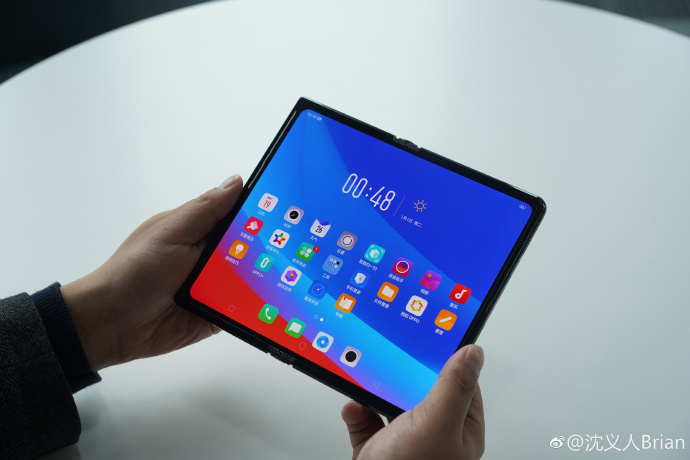 Samsung took to the stage to unveil the Samsung Galaxy Fold, and Huawei showed off the Huawei Mate X. Not to be left behind, Oppo has teased its own foldable phone. Oppo’s Vice President Shen Yiren Brian shared images of Oppo’s folding phone on his personal Weibo page. 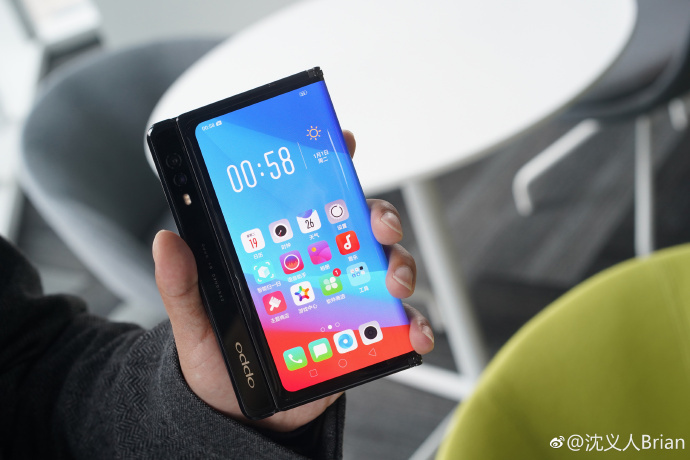 Oppo’s folding phone is similar to the Mate X rather than the Galaxy Fold, in the sense that the phone has only one display that folds outward (instead of having two displays of which one would fold inwards). 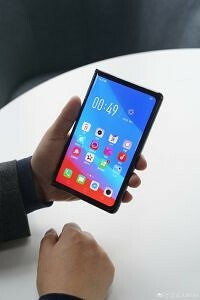 Much like the Mate X, Oppo’s phone/tablet also has a black bar that would house the sensors and camera setup. Either side of the device can be used when the phone is folded, and you can unfold the phone to get a much larger display. 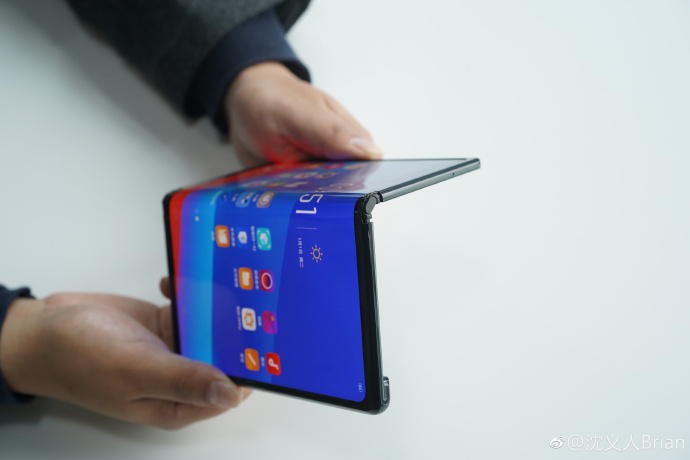 Folding phones in their current form, i.e. their first generation, are not really meant to be products that will fly off the shelves like conventional smartphone flagships do. All companies that have invested into this technology realize that the first generation is mainly to “beta test” the technology with end consumers with higher disposable incomes, to gauge whether this area is something they can work further on. Think of these devices like the Samsung Galaxy Note Edge — a smartphone which had just one side of the display curved. The Note Edge was not a device that was considered a best-selling product, but it did lay the foundation stones for all the curved edge displays that are now commonly seen on Samsung’s flagships such as the Galaxy S10. OEMs no longer want to be left behind for the next big thing, and so you see everyone getting their hands wet this time around.